A few weeks back, I got an email from an art gallery that had an old black-and-white picture of a long-ago racetrack and wanted help identifying it. The gallery believed the track had been located somewhere in Kentucky. The picture is shown below. Looking at the picture and seeing only men in coats, ties, and hats, I immediately thought of a defunct racetrack in Louisville that would be of the right vintage. 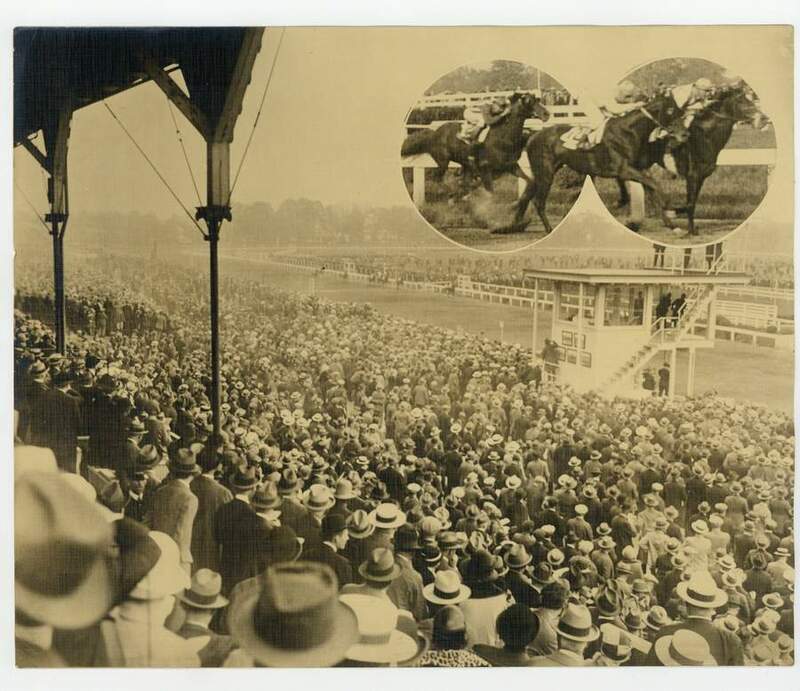 It offered Thoroughbred pari-mutuel racing from 1913-1918 and served as a training facility into the 1950s. I am not certain, but I believe it to be the racetrack pictured in the link below. Notice the location of the judges stand in both pictures. Let me hear from you if you know for sure the name and venue of the racetrack.